There are a lot of ways to improve the appearance of your teeth. Some methods can be quite involved like crowns or bridgework, which require extensive alteration of teeth to accommodate them. Other methods, though, can achieve stunning results with less tooth reduction or alteration to your teeth. Porcelain veneers are one such alternative that literally puts a new face on your teeth. A dental veneer is a thin layer of restorative material (usually porcelain) that is bonded to the outside of a tooth to cover blemishes. They’re an excellent choice for dealing with otherwise healthy teeth with mild to moderate chipping, wearing, staining or slight misalignment. Veneers can be fashioned to match the shape and texture of the prepared tooth, as well as coloring that blends with neighboring teeth. They’re created by skilled dental lab technicians who use porcelain powder mixed with water to create layers of pliable porcelain laminated together to achieve the appropriate thickness and shape. The veneer is then oven-fired to produce a strong, durable product. Their use in various dental situations does require some tooth preparation, though normally not as much as other restorative measures — usually no more than 0.5 mm of surface enamel. Removing this small amount will ensure the veneer doesn’t look too thick and bulky once bonded to the tooth. There are some situations, though, where veneers aren’t the best choice: because they’re mainly a cosmetic solution, they can’t remedy problems like poor tooth position and bite or large discrepancies in root position. And teeth that are heavily decayed may require more extensive dental work to repair and preserve them. In the right situation, though, veneers can make a huge difference to your smile and last for years, as long as you practice effective oral hygiene and don’t subject them to abnormal biting force (no cracking hard shell nuts with them — they can shatter). 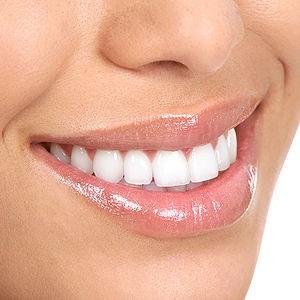 In skilled hands, veneers can transform your teeth from embarrassing to dazzling.